LOS EBANOS, Texas (AP) — All along the winding Rio Grande, the people who live in this bustling, fertile region where the U.S. border meets the Gulf of Mexico never quite understood how Donald Trump’s great wall could ever be much more than campaign rhetoric. Erecting a concrete barrier across the entire 1,954-mile frontier with Mexico, they know, collides head-on with multiple realities: the geology of the river valley, fierce local resistance and the immense cost. An electronically fortified “virtual wall” with surveillance technology that includes night-and-day video cameras, tethered observation balloons and high-flying drones makes a lot more sense to people here. It’s already in wide use and expanding. If a 30- to 40-foot concrete wall is a panacea for illegal immigration, as Trump insisted during the campaign, the locals are not convinced. 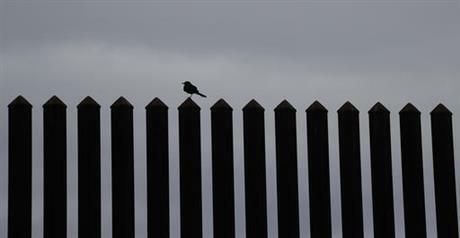 And few were surprised when the president-elect seemed to soften his position five days after the election, saying that the wall could include some fencing. “The wall is not going to stop anyone,” said Jorge Garcia, who expected to lose access to most of his 30-acre riverside ranch after the U.S. Border Fence Act was enacted a decade ago. Under the law, 652 miles of border barrier were built, mostly in Arizona. The 110 miles of fences and fortified levees that went up in Texas are not contiguous but broken lines, some as much as a mile and a half from the river.